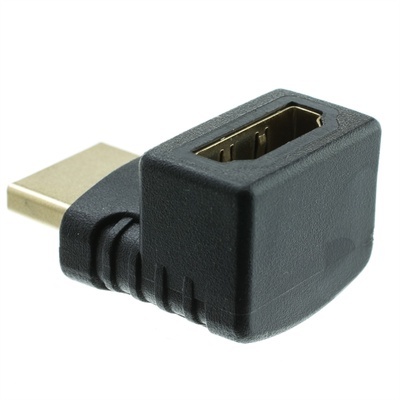 Product #18498 | SKU HDMI-ADAPTER-MF-90DEG | 0.0 (no ratings yet) Thanks for your rating! Allows an HDMI connector to be right-angled. This HDMI Male to Female Right Angle Adapter from Small HD is a compact solution to converting regular HDMI connectors to right-angled ones.